Skylight and roof lantern blinds are the ideal solution for modern homes that want to take full advantage of open plan living and make the most of the available natural light. 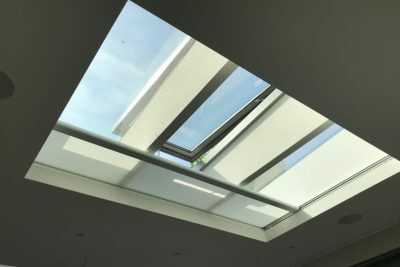 One of the most popular additions to homes today, roof lanterns and skylights are fantastic architectural features that help to maximise the light, bringing the outdoors in and giving a light and airy feel to the space all year round. These large glass ceiling features create a fabulous focal point in any room. 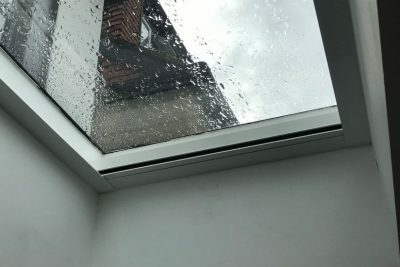 If you have an electric skylight or a roof lantern, south facing rooms can become unbelievably hot even on cloudy days, while direct sunlight can result in glare and UV. This can make it impossible to have a meal, watch a movie or otherwise enjoy the space. What’s more, floors and furniture are at risk from colour fading. 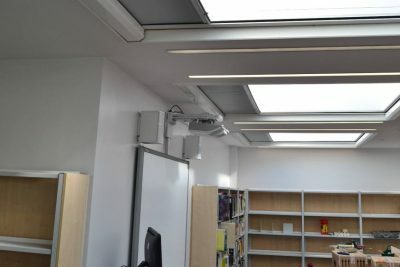 Aquarius Blinds has a wealth of experience in supplying and fitting a wide range of window blinds and light control solutions including skylight blinds, skylight blackout blinds and roof lantern blinds in a variety of designs and colours. With systems available to cover up to a staggering 6.8 x 13 metres, you can be sure that we’re able to protect even the largest of areas. Our easy-to-use blinds consist of head boxes and side channels for a neat and tidy appearance in your home. There’s a wide selection of fabrics ranging from screening fabrics that reduce heat and glare but offer a degree of opacity, right through to blackout fabrics that are perfect for bedrooms and home cinema rooms. 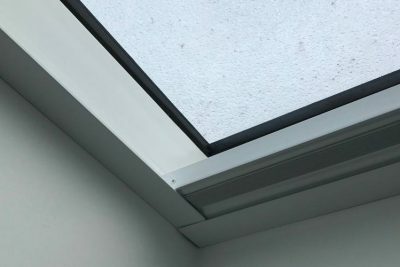 At Aquarius Blinds, we supply both interior and exterior options for your roof lantern and skylight blinds. To protect a lantern to give a dark cinema level of blackout, an interior product such as our Eliminate is recommended. For sun screening and heat protection, our external Markilux system provides both thermal heat reduction and protection. Depending on your colour choice, we can supply external grade fabrics that are opaque but will allow some light into the room. All our systems are compatible with our TaHoma smart home hub Somfy system as well as with most home automation systems. Please call or email for assistance with this or any other enquiry. In order to create a perfect balance between light, shade and heat, we chose an external system using our Markilux 770 and Vuscreen ALU fabric with aluminium pigmenting woven into the yarn. 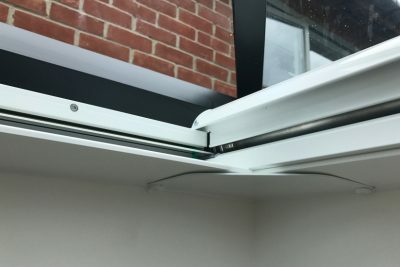 Fitted externally, this solution provides superior reduction of both heat gain and solar glare, while the special weaving technique allows for see-through transparency. The system is only visible when required, meaning the beauty of the skylight itself and the minimalist room design is preserved. For more information about our any of our domestic window blind solutions, please contact our professional team today by calling 0800 953 0199, emailing info@aqblinds.co.uk or visiting our showroom for a friendly chat. Aquarius Blinds have 30+ years’ experience of supplying and installing a wide range of luxury blinds, using our own high quality manufacturing facilities to produce superior quality blinds. 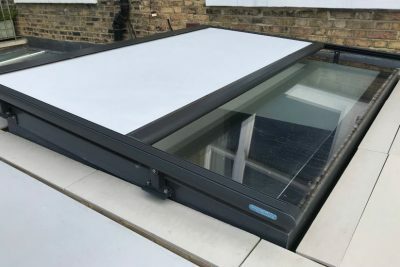 Whether you’re looking for a stylish light control solution for skylight windows or you’re interested in roof lantern blinds, we look forward to being of service.